Over the past five years, our small corner of the bookternet has grown beyond anything we could have imagined. What started with Rachel and 5-10 friends on Twitter is now a sprawling, international, almost 2,000-reader strong biannual event. We love all of you, and we’re amazed and proud of how far we’ve come. With that pride comes realization of the importance of our platform and the responsibility associated with it. As the ‘thon has expanded internationally, it’s drawn our thon-specific attention and brainspace to the issue of representation and access, including everything from the books we post on social media to the ratio of U.S./Canada prizes to international ones. The three of us are each dedicated to ensuring representation in our personal reading lives, and while that has naturally carried over into elements of the readathon, we’ve realized that we’re leaving a lot of intentionality on the table. 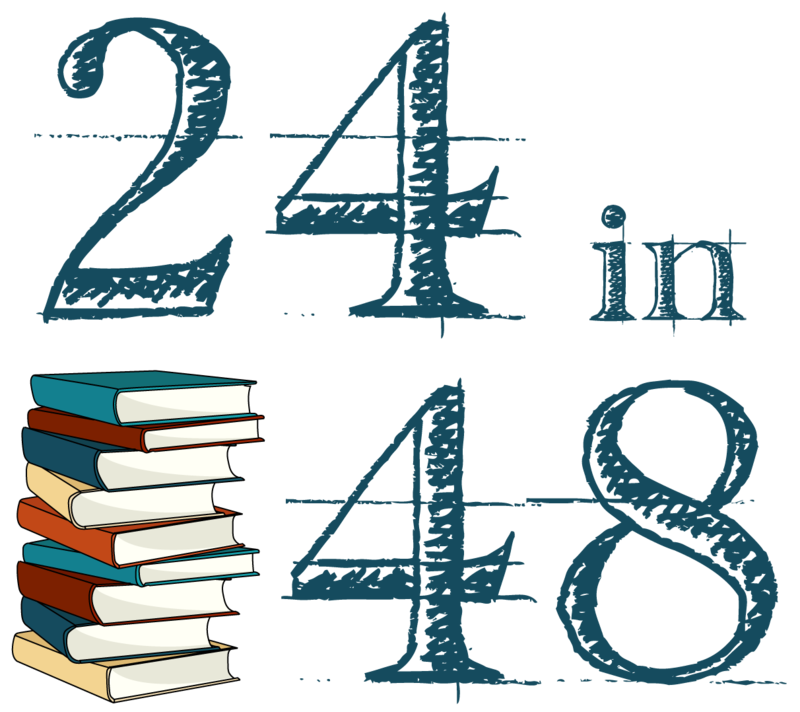 That’s why, this year, we’re making some changes both publicly and behind the scenes at #24in48. Publishing is a notoriously white, privileged space filled with gatekeepers who don’t necessarily represent their readership, and we are not OK with carrying on that status quo when our #24in48 community has created this platform allowing us to not only be vocal about the necessity of industry change, but—hopefully—have a measurable impact. Part of this effort means calling attention to what we’re doing, so we can be accountable for our actions—both when we hit and miss the mark. We won’t get it right every time, but we’re sure as hell going to try. More representative book stacks. Actively seeking out titles to recommend that not only include/ represent/promote authors of color, but also LGBTQIA+, disabilities, neurodiversity, geographic diversity, and more. Including descriptions of our images on social media to facilitate accessibility. Encouraging publishers and supporters to consider these intentions when selecting and donating prizes. We’ll have a few more surveys for you to fill out this year, including an anonymous survey to help us determine the regional distribution of our readership and a book log to show not only how many books are read over the weekend but also the diversity/inclusion statistics of those books. There’s more to come, and we have more to learn. Thank you for journeying with us this far; we hope we won’t let you down.